"I mean COME ON guys, at least put some effort in"
Tame Impala are no strangers to legal drama (and more legal drama), and it seems the Aussie rockers could be on the verge of another lawsuit. On Instagram last night (April 27), the band called out a commercial for ripping off their Currents single, "The Less I Know the Better." 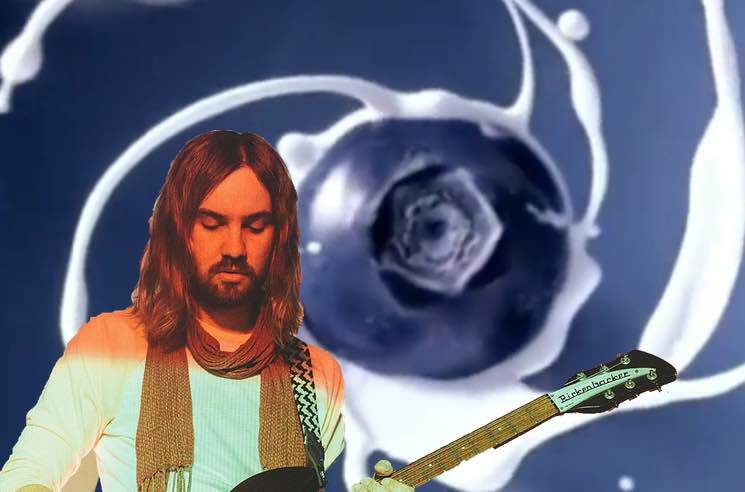 The brand in question is a Chinese drink company, which is pushing its blueberry-flavoured milk beverage with an ad featuring an eerily familiar-sounding tune — and psychedelic shots of swirling fruity milk that aren't far off from the Aussie band's signature trippy aesthetic. Tame Impala called it out, sharing a video clip from the commercial on Instagram with the caption: "I mean COME ON guys at least put some effort in" with the ominous hashtag #Lawsuit. Thanks to a tag in the post, Sony/ATV Music Publishing Australia have now been alerted to the situation too. There's no word yet on any official legal action, but you can play the judge for yourself by watching the clip below and comparing it to Tame Impala's original in the player below that. Order Currents on vinyl here.